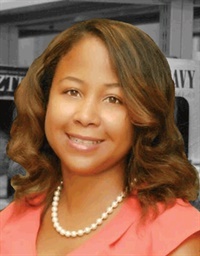 Varleisha D. Gibbs, PhD, OTD, OTR/L, is an occupational therapist and author with 17 years of experience working with children and adolescents diagnosed with Autism Spectrum Disorder, Sensory Processing disorders and Neurological disorders. Dr. Gibbs is the Scientific Programs Officer for the American Occupational Therapy Foundation. She is the inaugural chair and director of the master’s programs in occupational therapy and full time associate professor at Wesley College in Dover, DE. Prior to joining Wesley, she worked at the University of the Sciences in Philadelphia, PA, where she served as the director of the doctoral programs in occupational therapy. In 2003, Dr. Gibbs founded Universal Progressive Therapy, Inc., a company that provides interdisciplinary and quality therapeutic services to families. As founding president, she provided treatment interventions and education in the areas of sensory integration, autism as well as family-centered care. Dr. Gibbs co-authored the publication, “Family-Centered Occupational Therapy and Telerehabilitation for Children with Autism Spectrum Disorders”, found in the journal of Occupational Therapy in Healthcare. She received her PhD at Seton Hall University with a dissertation focusing on the Autism Spectrum diagnosis. Dr. Gibbs earned her doctorate in occupational therapy at Thomas Jefferson University.